Ah, the classic chocolate cake. 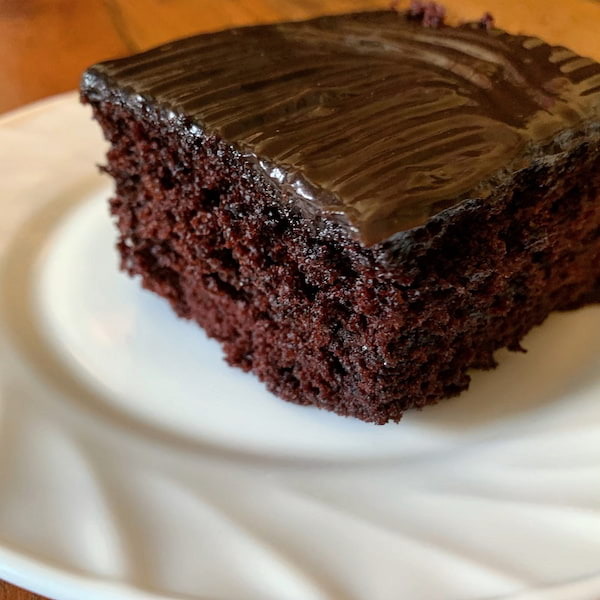 Whether you like yours fabulously decadent or light and fluffy, a slice of chocolate cake is always going to be a treat worth the calories, don’t you agree? This round-up covers a mix of cakes (or slices) that you can pick up at your neighbourhood coffee shop, and cakes that have to be ordered in advance by small-batch home bakers. Don’t go blaming us when you reach for that second slice! Thank you everyone for the overwhelming response since the airing of Kris TV this morning! We will try our very best to respond to all your inquiries within the day. A million thanks again to Ms. @withlovekrisaquino and @kristvofficial_ig!!! This chocolate cake definitely lives up to its name. 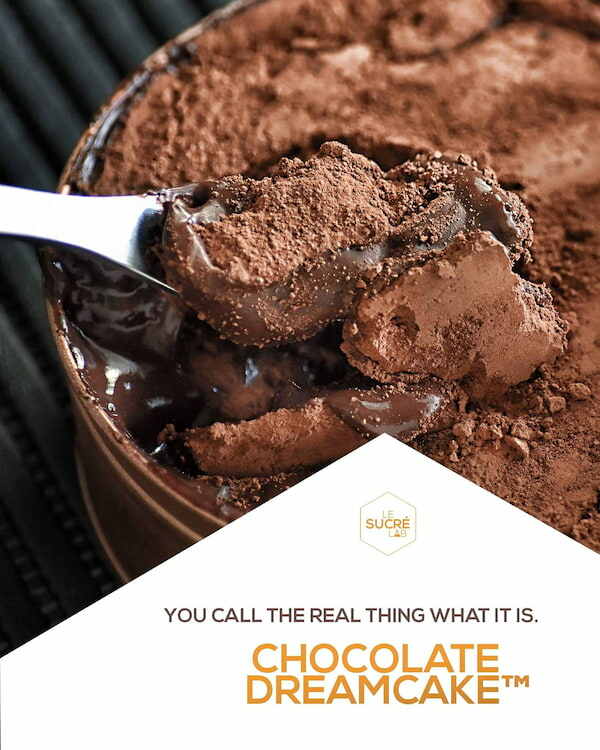 Served in a tin tray and topped with a generous serving on thick and heavy chocolate ganache, it’s the perfect casual party treat that everyone will have fun digging into. 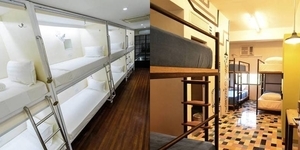 It comes in three sizes: an 8 by 8-inch Junior (P550) which is good for 8 people, a 9 by 12-inch Birthday (P1000) which is good for 15 people, and a 10 by 14-inch Party (P1,500) which is good for 30 people. Order through Instagram at @bigalscookiejar. You’ve probably heard of this Internet-famous tin chocolate cake by now. It has three layers: A soft chocolate cake, a light but decadent ganache, and a thin layer of solid chocolate that you need to crack through to get to the good bits. It goes for P475, and you’ve got to make sure that you order this cake ahead—remember to check their order form on Instagram on a regular basis to cop a cake! Order through Instagram or 0995-7757218/429-9784, pre-order online here. The good ol’ Dimpy’s Kitchen chocolate cake just can’t be beat. A mainstay in birthdays, Christmas gatherings, and special dinners, this cake honors the classic moist chocolate cake and thick gooey ganache combo. Don’t forget to drizzle that caramel sauce on top! 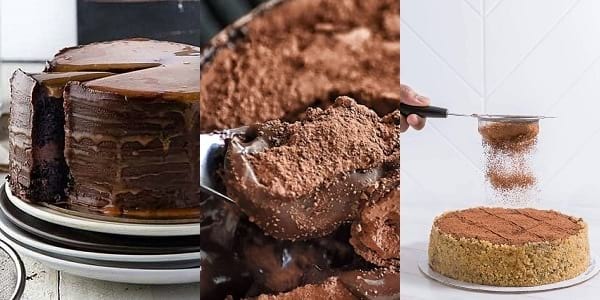 An 8.5-inch round cake with 85g of caramel costs P550, a 9-by-9-inch cake with 100g of caramel costs P600, and a 13-by-9-inch cake with 300g of caramel costs P800. Pastry chef Baba Ibazeta started selling her cakes from her home years ago, and turned that little business into one of the most well-known pastry brands in Manila today. Classic Confections holds many of Chef Baba’s creations, with her Nono’s Chocolate Oblivion being one of the most notable. Light chocolate cake, whipped chocolate cream, and walnut praline bits make this cake completely irresistible. Pick up a 9-inch cake for P1,395 at Classic Confections or Nono’s—if you get lucky, you might find this cake also being displayed at The Coffee Bean and Tea Leaf branches. Cakes available at Classic Confections, Nono’s, and The Coffee Bean and Tea Leaf branches. Callebaut truffle chocolate makes this cake much more decadent than your usual, all without making the cake too sweet. But then again, why should we expect anything less than excellent from the minds that run Mary Grace Café? Pop into any of their branches to pick up a whole cake for P1,010, a mini cake for P390, or sit down for a slice at P170. Are you flashing back to that Matilda chocolate cake scene, too? Bruce was definitely on to something! Flour Jar’s signature chocolate cake is made up of a soft chocolate sponge, chocolate buttercream, and a drizzle of caramel syrup. You may have come across this cake displayed on the pastry shelves of Toby’s Estate for P250 a slice, too. This cake is the perfect combination of dense-but-not-too-heavy chocolate sponge and a simple vanilla buttercream that complements the strong, rich flavors of cocoa in the cake. 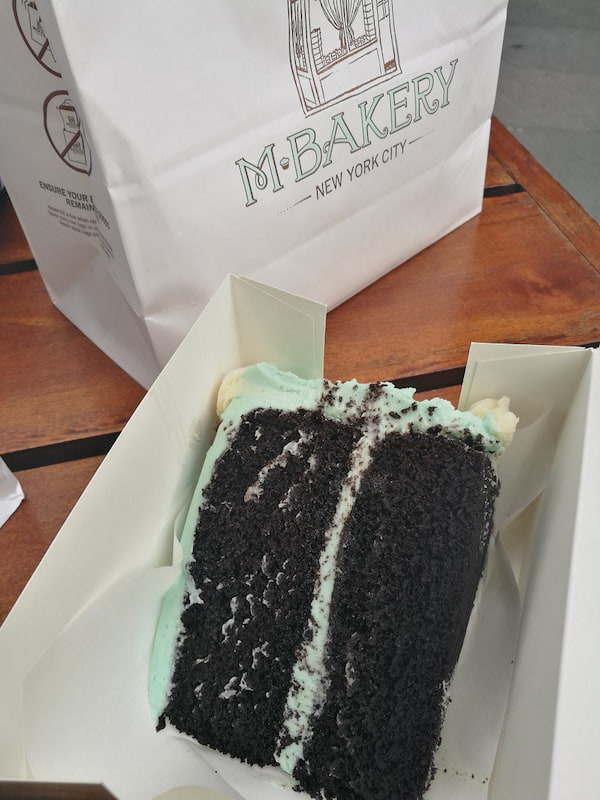 Order a slice for P220 at M Bakery and share it with a friend for good measure. Love your chocolate cakes a little bit on the sweet side? Add a dash of salt and you’ve got yourself a winner. This cake is worth every sinful bite, especially when each dense layer has a perfectly proportioned amount of frosting in between them. Did we mention that it’s served as a bigger-than-life, three-layered slice for P295? Ms. Polly’s Specialty Cakes and Desserts is probably most known for their classic chocolate cake with notable zig-zag patterns in its ganache frosting across the top and sides. If it sounds familiar, it’s because it used to be available for pre-orders and take-out at a Magallanes gas station. Ms. Polly’s has a little space in Paranaque at the moment—the cake is still definitely worth the drive. For cake orders, contact 824-7612 or visit 16 Milan St., Merville, Paranaque City. Trust us—this cake definitely makes you feel like a million bucks—but only for P2,850! Three layers of chocolate cake, layers of caramel-macadamia and coffee custard filling, and fudge frosting. Need we say more? Get your hands on one, quick.